AUTOCHECK CERTIFIED 1-OWNER! 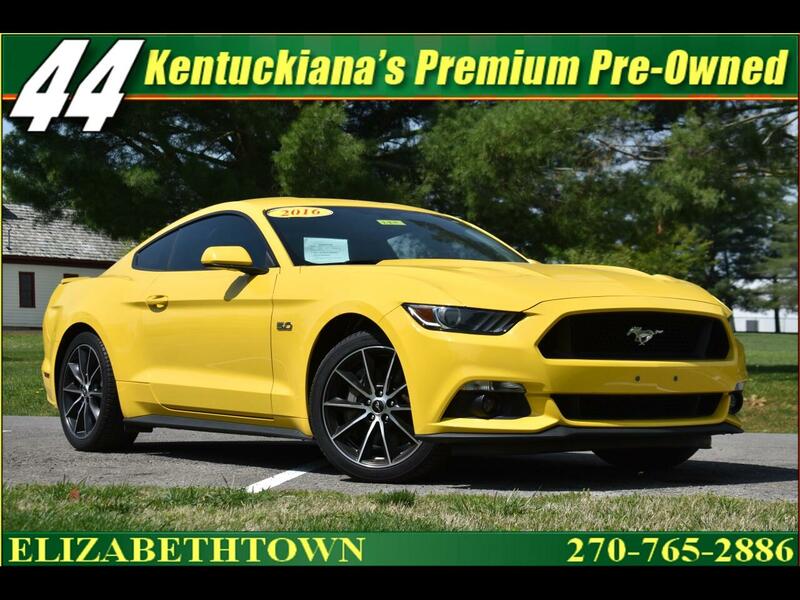 TOP OF THE LINE FORD MUSTANG GT FINISHED IN TRIPLE YELLOW AND POWERED BY THE 435 HORSEPOWER 5.0 COYOTE V8 MATCHED WITH THE 6-SPEED MANUAL TRANSMISSION THAT ROCKETS FROM 0-60 IN ONLY 4.6 SECONDS! IT IS LOADED WITH ALL POWER EQUIPMENT, TINTED WINDOWS, KEYLESS ENTRY, AND LOTS LOTS MORE. WHY BUY NEW? THIS SUPER CLEAN 1-OWNER MUSTANG LOOKS, RUNS, AND DRIVES LIKE NEW FOR OVER $10,000 LESS THAN THE COST OF A NEW ONE.